The international community faces huge challenges of climate change and dwindling resources. The Well-being of Future Generations Act (Wales) argues that if we hope to tackle those big questions, engaging in a sustainable way with local policy will be critical. I want to shine a light on how some of those local and global policy challenges link together through the lens of community transport. “providing flexible and accessible community-led solutions in response to unmet local transport needs. Local operators use everything from minibuses to mopeds, and services include voluntary car schemes, community bus services, school transport, hospital transport, dial a ride, wheels to work and group hire services. At its heart, the Future Generations agenda looks at how we can use all our experiences in society – be they business or government, or charities and community groups – in order to find solutions to difficult, complex and longstanding problems as well as future challenges. This must be done in a way that is sustainable and does not adversely affect future generations. The ‘how’ is as important as the ‘why’. Ideally, the more power we give to communities, the more we all learn how to tackle problems, and the more our communities are able to identify problems and help shape solutions. In policy wonk-speak, this is what we mean when building ‘resilience’ or ‘cohesive communities’. Community transport operators are grounded in their communities, have developed in response to their communities’ needs, and have a direct link to those they serve. 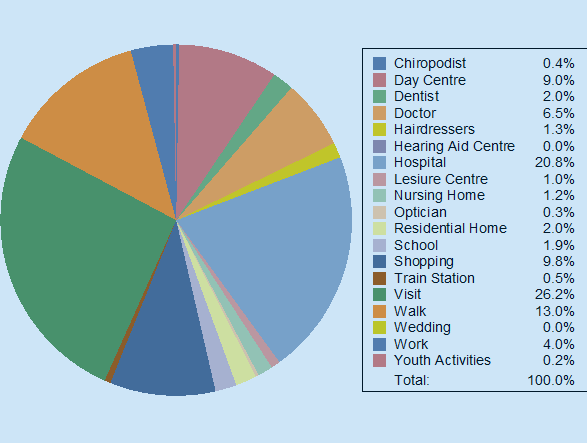 Local operators identify and respond to local needs, so the ratios will be very different elsewhere, but this gives an idea of the variety of services to which the sector provides access. So, for our purposes here, ‘for Penllyn, see Wales’. At the last count, 2 million journeys covering 6 million miles were made by passengers using community transport in Wales. With a move – rightly – toward the integration of public transport and to changing travel habits at an all Wales level, there is a need to take account of flexibility and local voices and spaces for the third sector to help design solutions that are supportive of these wider ends. Too often, transport and access is the unrecognised – but crucial – part of the jigsaw in getting things done. 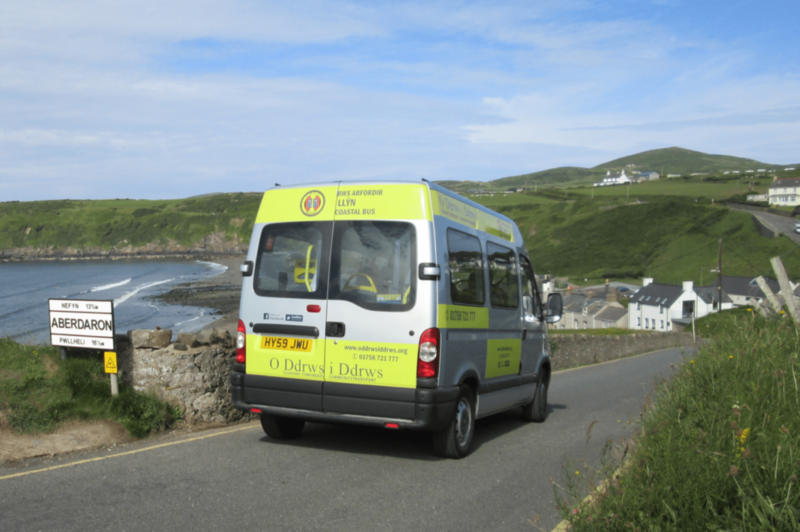 Community transport provides one solution, with initiatives such as our Connecting Communities in Wales projects. We recognise and greatly appreciate the support the Future Generations Commissioner has provided and look forward to working together in future, allowing the positive intervention from local communities and a host of social actors to tackle difficult issues and design the solutions to their needs. and a globally responsive Wales. The community transport work I have outlined plays a modest but important role to play in pursuing these goals. Our ambition is to play a wider role in helping to develop models of community solutions that form a vital part of making the Future Generations Commissioner’s laudable aims a reality. We look forward to working with groups from all walks of life in order to help provide solutions to help people in Wales live their lives to the full.